On the BSE, 3.13 lakh shares were traded in the counter so far compared with average daily volumes of 1.07 lakh shares in the past two weeks. The stock had hit a high of Rs 536 and a low of Rs 504.40 so far during the day. 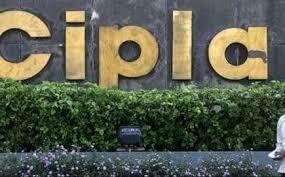 Cipla's consolidated profit after tax fell 17% to Rs 332 crore on 2% rise in total revenue from operations to Rs 4008 crore in Q3 December 2018 over Q3 December 2017. Consolidated earnings before interest, taxes, depreciation and amortization (EBITDA) fell 12% to Rs 720 crore in Q3 December 2018 over Q3 December 2017. Umang Vohra, MD and Global CEO, Cipla said the company's US business has delivered strongly in Q3 December 2018 as a result of scale-up of new launches. Cipla is a global pharmaceutical company focused on agile and sustainable growth, complex generics, and deepening portfolio in home markets of India, South Africa, North America, and key regulated and emerging markets.